In this weeks episode I chat with online content creator and influencer, Mattie James. Currently residing in Atlanta, Mattie influences women to #SlayYourDay, monetize their influence and balance life beautifully. 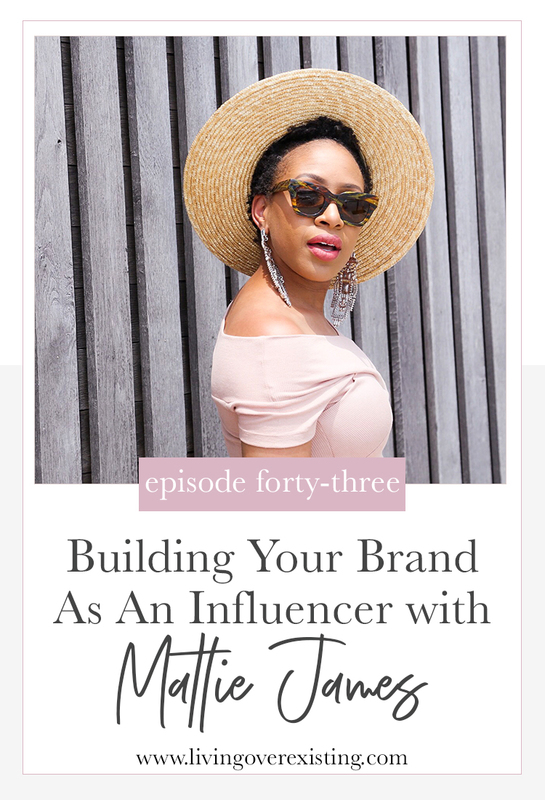 With over 103,000 followers, Mattie has worked with brands like AT&T, JOHNSON’S & Levi’s and has been featured in Marie Claire, EBONY and Huffington Post. But what she’s most proud of is being a wife and mother while building for the kingdom and the culture. In this episode we chat about her journey into blogging and how she ha been able to grow in this ever changing industry, how she decides which brand opportunities are a good fit for her, how she manages being an entrepreneur with a full team while also being a mommy and wife and so much more! "if you’re not willing to keep up with the trends to be an online business owner or a full-time content creator it’s going to be really hard for you to succeed." "Get to the bottom of your why. What is the root behind why you’re blogging & creating? It doesn’t have to be this overly deep but understanding why you’re doing something will help you get clear of your value."